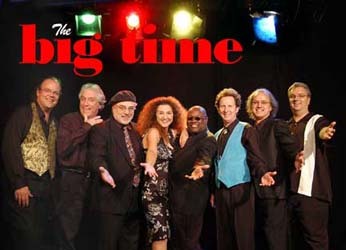 These are just a few words that describe "THE BIG TIME"
Hailed as one of the finest variety bands of all time to embark upon a stage, "The Big Time" has maintained an ever-growing musical catalog of the top hits from the 40's thru the 90's. Soul, Disco, Motown, Pop, Jazz, Rock, Big Band, Country and all of the oldies... "The Big Time" does it all!! There can be many reasons why one band is chosen over others for an important event, but one thing is certain...The BIG TIME will make your gathering one to remember. Our music and show will make your guests literally leap out of their chairs and run to the dance floor...and they’ll be talking about your special event for years to come. 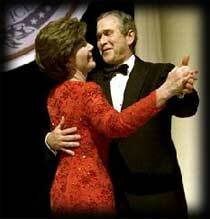 That’s why The BIG TIME was chosen to play for President Bush’s Inaugural Ball in Washington DC in 2001. It’s also the reason The BIG TIME played for the biggest pop-wedding of 2002...the Jessica Simpson/Nick Lachey nuptial party at Barton Creek Resort. Jessica is the darling of pop culture, and she chose The BIG TIME to play for her. While every bride may not be as famous, every bride for whom The BIG TIME plays is every bit the star, every bit as important. On her special day, she is the celebrity! Not every wedding makes the pages of People magazine, but to the family and friends of every bride, this day is the most important of her life. Hiring the right entertainment for the last public event of this special day is critical... so make sure your’s ends with the best party band around...end your day with The BIG TIME! The Big Time Band has entertained Presidential Balls, Texas Governors, Celebrity Weddings and many others. Simply put, "The Big Time"... they are the best! The Texas Inaugural Gala, The Texas Governor's VIP party, The Texas Rose Festival, The Great Texas Balloon Race, numerous major corporate events and fund raising galas throughout the country are but a few of the types of events "The Big Time" has performed for. In addition, the group has also performed for many events and organizations such as Junior Leagues, health organizations, civic groups, country clubs, major private parties, weddings and debutante balls. "I just wanted to write a quick letter to thank you for helping my daughter’s wedding be one that will be remembered by our guests for a long time and our family forever. After the bride and groom danced and then the bride and I danced, you inviting sound brought our guests to the dance floor, and they never left. I cannot tell you all the songs you played, but I wanted to dance to each one of them, Again, I want to compliment you on the way the band performed. Several guests from different parts of the state have called me for your name. I certainly hope they hire you, and just as important, they invite me to the party." "The Big Time is really Big Time in my book - and everyone at this year’s Charity Ball agrees! The band could not have been more wonderful and patient with all the extra things I asked them to do. They hit every cue for the program, and then played music that got everyone’s toes tapping and feet dancing. The “more mature” couples so appreciated the lovely music that started the evening and the “younger set” were thrilled when their turn came with livelier fare. It truly was a night to remember - and we will always remember The Big Time!" "It is with great pleasure that I have the opportunity to write this letter of recommendation for the band, Big Time. When we were choosing the band for our daughter's wedding reception at Barton Creek Resort in Austin, Texas, we researched bands extensively. We listened to CD's and visited with many different groups. We honestly feel like we lit a 'home run' with our choice of the Big Time. It is an extremely professional group of musicians. They played a wide range of music from the 60's to present day. Our family couldn't have been more pleased with the level of excellence exhibited at our wedding reception. Please feel free to call me anytime to inquire about the Big Time." "I just wanted to thank you for the outstanding entertainment at Haley and Barrett’s wedding! Not only were you so easy to work with, but you kept the guests on the dance floor all night!! Thank you again. I am really looking forward to working with you soon!" "It is always great to be called to suggest entertainment for the Texas Cavalier's King's Ball and I am really excited we chose the Big Time for our premier gala event. From our first discussion to the last song you performed that evening, it was a pleasure working with you. It is what we have come to expect from the Big Time. We are glad we chose to ask you to return to our event". 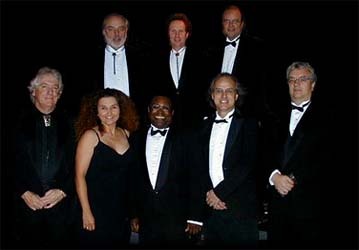 "I just wanted to tell you how wonderful "The Big Time Band" was at the Helping Gala on March 5, 2005. They were a big hit! Everyone had a great time dancing solid two hours. I had many compliments on the band and what a great selection of music they had. I would definitely hire them again for any event." Copyright © 2005-2013 Carol Marks Music, Inc.